Create A Complete Travel System with the NEW Ingenuity Stroller and Car Seat! Ingenuity is one of my favorite brands of baby products ever since I received and tried out their machine-washable playard! It was an instant hit in our house and such a smart solution! Now I am so excited to have received a couple more new items from Ingenuity - their NEW InTrust 35 Pro Infant Car Seat™ and an InVenture Pro Multi-Functional Stroller™! With a host of new features, the Ingenuity on-the-go series takes the hassle of infant car seats and eliminates the cumbersome clumsiness typical of strollers. The InTrust Car Seat is sized for infants 4-35 lbs. and up to 32”. Side impact tested, this car seat meets or exceeds all federal crash test standards. It features the SmartAdjust Headrest™ that simultaneously adjusts the harness and headrest height without a complicated re-thread harness for simplified comfort and security. For added comfort, the seat’s AirInfuse™ allows air to circulate through ventilated panels. There are a couple features that really make this car seat different and easier to use than any other car seat I have used with my three kids (and that's A LOT of carseats!). First, I LOVE the SmartAdjust Headrest™. I can't tell you how many issues we have had with headrests not fitting our newborns or older children and the big hassle it is to adjust them on other car seats! This seat you NEVER have those issues because it adjusts the the side impact tested headrest and harness height simultaneously. I LOVE that! The second unique feature is the AirInfuse ventilated panels! It allows air to flow through ventilated panels and mesh and keeps your child cooler! Best of all, it is compatible with the InVenture Pro Multi-Functional Stroller that I also received and can easily be transformed into a complete travel system! The InVenture Pro Multi-Functional Stroller features a Multi-View Seat™ with 2 seat positions so baby and mom can either face each other or baby can face the day. 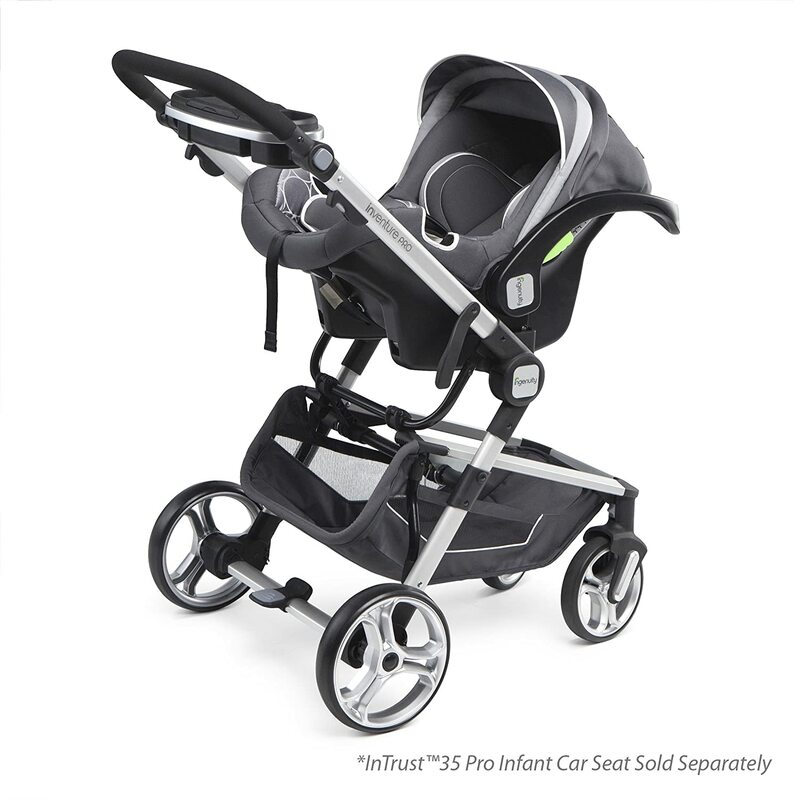 When combined with the InTrust 35 Pro, the stroller seat is swapped for the infant car seat, employing SureClick for a secure connection. 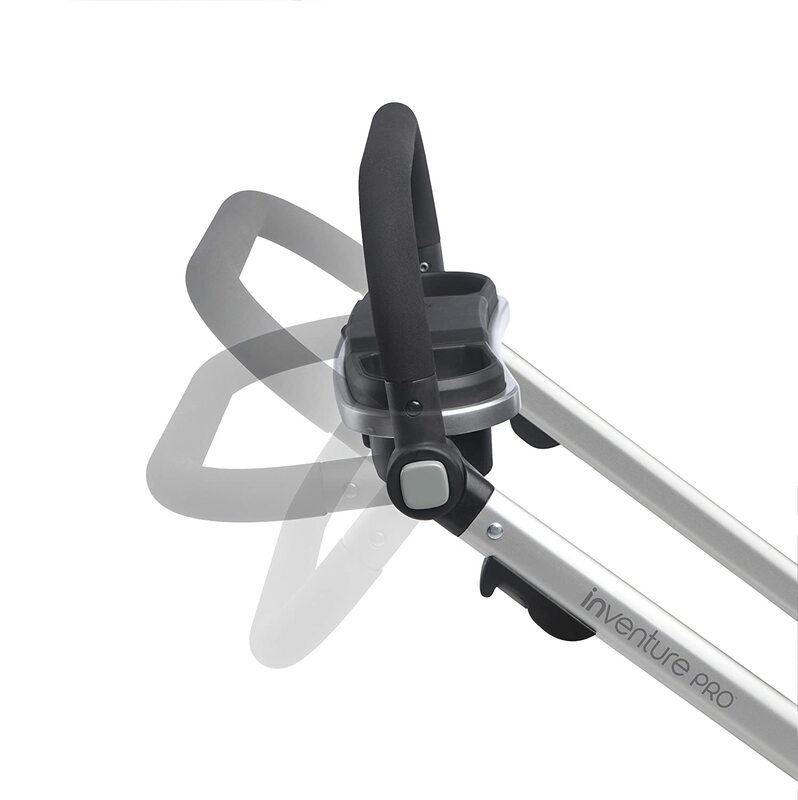 The InVenture Pro also features a height adjustable handle, one-touch center brake with all-wheel suspension, a removable infant insert, and a convertible 5 to 3 point harness. This stroller also has some great features, although they aren't quite as unique compared to other strollers I have used. I love the Multi-View Seat which allows younger babies like my 7 week old to face me while we are on a walk and older children who like to look where we are going to face forward - which is great for my older children! It makes this stroller really versatile! 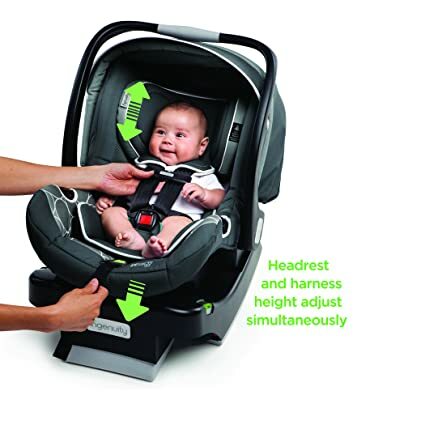 I love how easily it works with the car seat and interchanging the regular stroller seat for the car seat! That makes it really easy to go to zoo or shopping without having to switch baby 20 times from seat to stroller and back! My husband's favorite feature is the height adjustable handle because the handle height always proves to be uncomfortable on most strollers for my husband (and most men) because of their taller heights. This stroller is never uncomfortable to push for my husband because he can adjust it to be comfortable! Overall, both these new Ingenuity products are great separately and together and each has some unique and awesome features that will make every parent enjoy using them!